New AC installed in October 2017! Plant High School District! 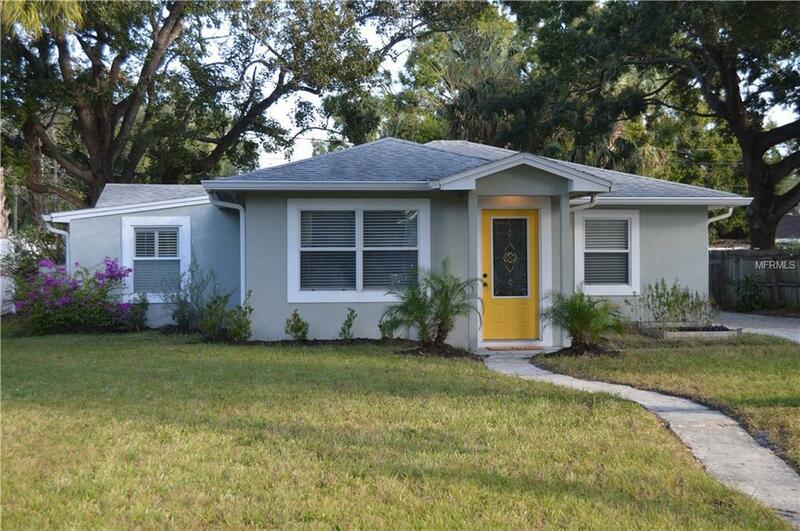 If you are looking to move to a premier location in South Tampa, at an affordable price, this is the place for you. The Belmar Gardens neighborhood is an inviting area where the neighbors are out running, walking their dogs, and enjoying conversations with their neighbors! Located just off West Shore Boulevard and El Prado, you are practically a stone's throw from many popular bars, restaurants, and shopping destinations. Some spots include Belmar Tavern/Saloon, Green Iguana, Javahz, Westshore Pizza, and the Family Friendly Farm.The home is super cute! A curvey sidewalk to your front door makes this place instantly feel like home. The long double driveway is large enough to park multiple cars, trucks, boats, and all your other toys. Inside this home, you are welcomed by an open-floor concept with large windows allowing endless sunlight. There is plenty of living space to arrange your living and dining rooms together, yet separately. The kitchen is a cook's dream; so many cabinets and counter space! A backdoor is conveniently located after the kitchen and also has an indoor laundry closet for a stackable washer/dryer - oh, that's included too! The backdoor brings you and your pets (through the installed doggy door) to a large fenced-in yard equipped with a concrete sitting area and 2 storage units. The master bedroom is breathtaking! You are invited to come to see this home, schedule your showing soon! Listing provided courtesy of Frank Albert Realty.